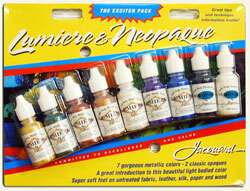 Lumiere & Neopaque are probably the best fabric paints that can be combined with Polymer and Air Dry Clay. 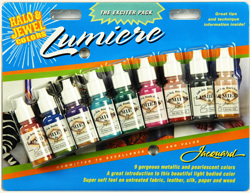 Concentrated high quality pigments and perfect coverage. 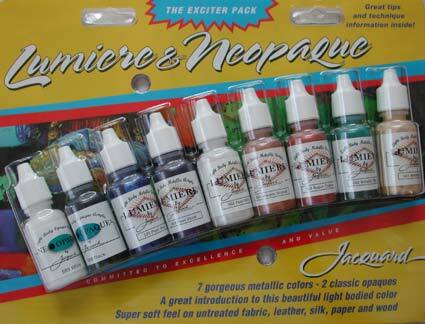 Lumiere is the metallic, iridescent version and Neopaque is the non-metallic version of this exceptional opaque paint.